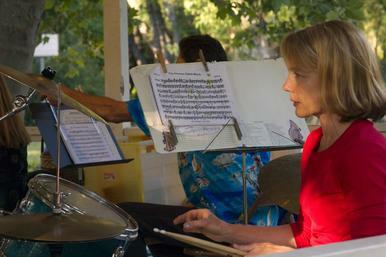 The Calaveras Community Band is always looking for volunteer musicians. 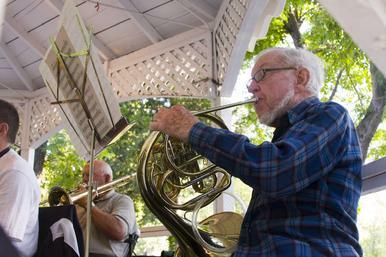 The Calaveras Community Band accepts players of all skill levels and musical backgrounds. 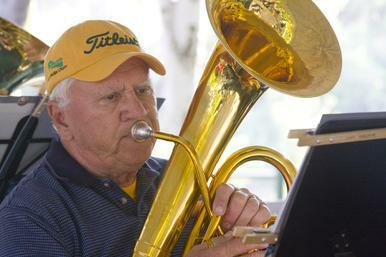 CCB members range from age twelve to nonagenarians. 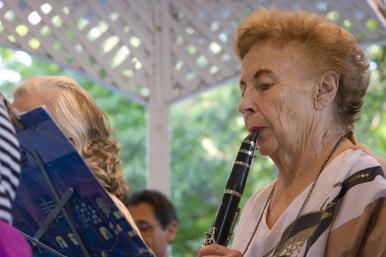 While a few of our musicians are skilled professionals, many others are beginners or comebackers who haven't played in dozens of years. The CCB rehearses on Monday nights at 6:30 pm during the concert season. In the spring, we practice in the Bret Hart High School band room, moving outdoors to the gazebo at Murphys Park as things warm up. All you need is a desire to play and a willingness to make new friends. For more information about becoming a member of the Calaveras Community Band, please fill out the form below and one of us will get back to you soon.